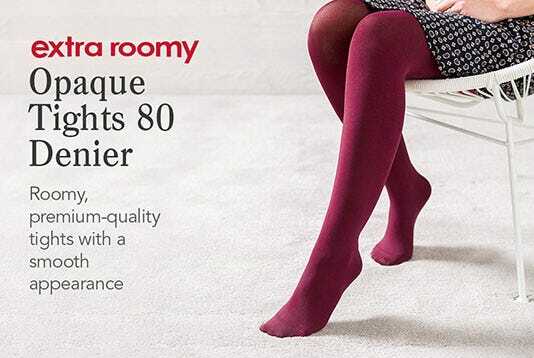 Looking for comfortable Tights, Stockings, Knee Highs or Hold-ups that won’t pinch and squeeze? Do you long for big Tights that go on with ease? Then look no further. Choose from Light Support Range if you need a boost, Softhold® for maximum comfort or Everyday for excellent value for money in large sized tights and Knee Highs. Most styles are available in standard and extra roomy fittings.